CDN Edge solutions are going to become more relevant as IoT continues its impressive growth. 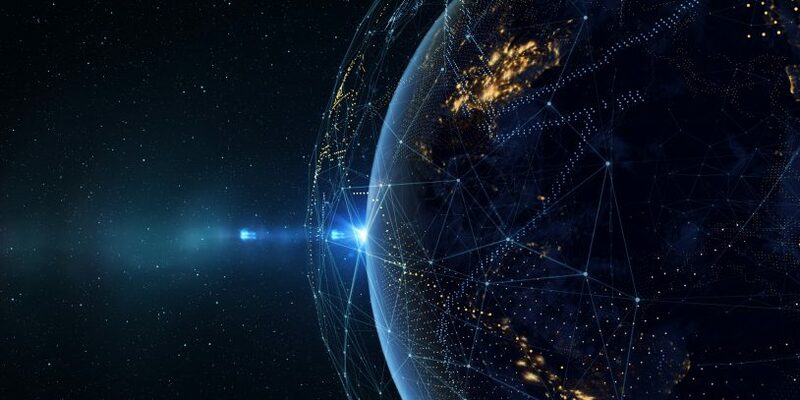 With the arrival of 5G, the amount of data that IoT devices create is expected to increase exponentially and will require edge solutions that can store, process, and analyze the data as close to the source as possible. In the world of distributed computing, there are currently two contrary paradigms at play. On the one hand, we see the movement of I.T. workloads and data to a centralized cloud environment, but the opposite is also a reality due to the impact the Internet of Things (IoT) is having on modern infrastructure. Smart devices produce a large volume of data, and as a result, there is a need to process an inordinate amount of information on the edge of the distributed enterprise, network, or the Internet itself to provide users with the real-time experience they demand. However, even though the cloud and the edge have split the distributed computing model, a universal constant is essential for both, ensuring users can get their data as fast as possible. Content Delivery Networks (CDNs) play a vital role in improving performance for both models. Traditionally, CDNs have effectively functioned as reverse proxies, pushing data to the user from a node near their location increasing the delivery time of information to their device, browser, or application. However, with IoT and edge computing this model is reversed. With 8.4 Billion connected IoT devices in 2017, Gartner analysts predict that 20.4 billion devices will be active in 2020. The amount of data these devices will create needs almost immediate processing and assimilation to provide users with information in real time. As such, the processing of this data needs to occur as close to the edge as possible to ensure the solutions meet the growing user demand for real-time data. With billions of IoT devices already connected to the Internet and many more expected in the coming years, managing the scalability and the amount of data these devices produce is a complex task that CDNs are tackling with innovative edge solutions. Not only do they need to provide the global messaging and storage infrastructure, but they also need to ensure devices can seamlessly connect rapidly and efficiently. One of the innovations making this possible is the implementation and support for the Message Queueing Telemetry Transport (MQTT) Protocol. Designed explicitly for connections in remote locations with restricted bandwidth or solutions that require a limited code footprint, it uses a publish-subscribe model, and like other message queuing solutions, needs a broker to translate the data between the sender and receiver. However, MQTT is just one of the protocols that enable IoT solutions. CDNs will most likely need to support others such as Constrained Application Protocol (CoAP), Advanced Message Queuing Protocol (AMQP), and Data Distribution Service (DDS). However, support for IoT enabling protocols like MQTT is only half of the solution. Users are growing less patient and at the same time placing more demands on the network. With this state of affairs expected to grow exponentially, CDNs need to move closer to the network edge. As such, CDNs need to leverage inexpensive, efficient and self-managing nodes and place these as close to the edge devices as possible. One solution is to locate CDN Points of Presence (POP) in colocated facilities that will become edge computing data centers. This move to the edge will result in significant changes to the business and operating models of the data center industry. Although they will continue to build centralized data centers for large-scale cloud computing environments, they will also need to construct smaller, modular data centers for edge computing needs. CDNs will then harness these edge data centers to provide the necessary services demanded by IoT solutions and end users. Placing CDN services as close to the IoT devices as possible will ignite the potential of edge computing and also provide the necessary performance demanded by users. As data collection, processing, and analyzing will occur at the edge instead of the centralized cloud data center, it will help ease the burden on network utilization and increase the dissemination of consolidated data in real-time. Currently, the role of edge computing is to ingest, store, consolidate, filter, and send data to cloud centers for final processing. However, moving forward edge computing systems are starting to contain more compute, storage, and analytical power to process the data as close to the source as possible. Organizations implementing IoT solutions and the CDNs that support them need to consider their architecture models carefully. Although edge computing promises to solve many of IoT’s data challenges, a hybrid approach consisting of a centralized cloud and decentralized edge architecture is the most likely scenario. As such, when organizations are considering edge solutions for their IoT implementations, they must select technologies built for their specific use cases. Edge computing is not a one size fits all and tailoring it to unique requirements is essential. The right tools must be able to scale as the number of data sources increase and process the information in real-time. Finally, the protocol IoT solutions utilize for communication must also be supported from the device to the message broker to ensure seamless data transmissions. As the computing world divides its processing between a centralized cloud and a decentralized edge model, CDNs need to ensure their platforms can support both. With over 20 billion IoT devices coming online by 2020, CDNs need to support a hybrid architecture that can sustain the demands from both the cloud and the edge. As such, they need to implement the relevant protocol technologies and invest in infrastructure to support their IoT customers. With the imminent arrival of 5G which promises much faster speeds, lower latency, and the ability to support multiple devices, IoT solutions are expected to increase in both scale and diversity. As such, CDNs need to be ready to underpin this next wave of innovation.